Northbound crossing into Henry County, VA. Photo by Mapmikey, taken October 26 , 2006. 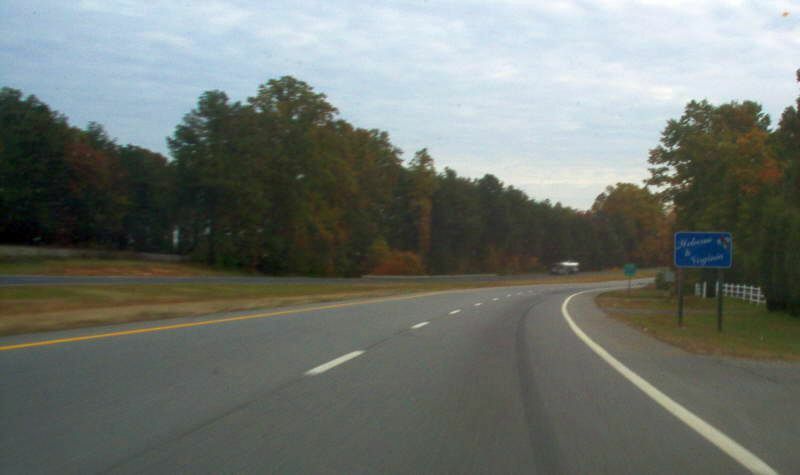 Looking back southbound into North Carolina. Photo by Mapmikey, taken October 26, 2006. 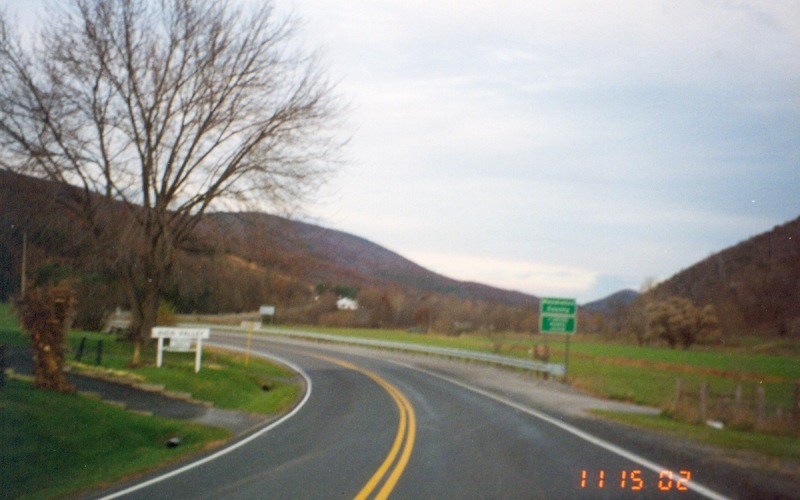 Northbound crossing into Pendleton County, WV. Photo by Adam Froehlig, taken November 15, 2002. 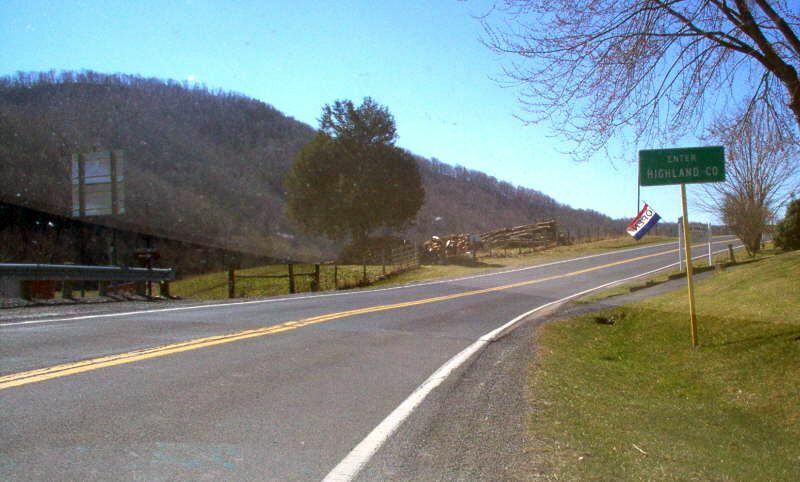 Looking back southbound into Highland County. Photo by Mapmikey.